These wedding photos are seriously incredible! When it came to choosing an untraditional wedding venue, Kimberly Weglin and Ryan Jenks may have gone a little overboard. Many people dream of getting married outdoors, at a place with a beautiful view. For my own wedding, I chose to say “I do” at a resort with Lake Michigan as my backdrop. Sometimes the beauty of nature is just unparalleled. 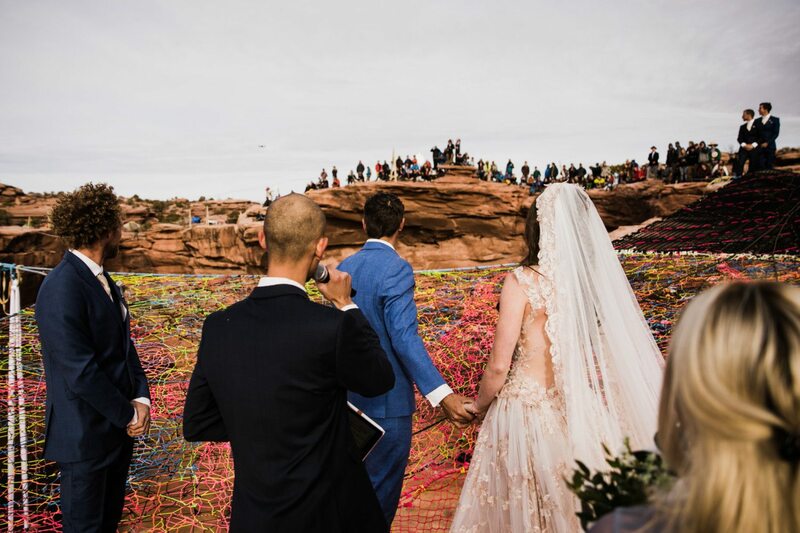 Weglin and Jenks took that theory to the extreme when they decided to tie the knot on the beautiful red rock cliffs of a desert in Moab, Utah. Wow! That is a truly breathtaking—if not slightly terrifying—sight. 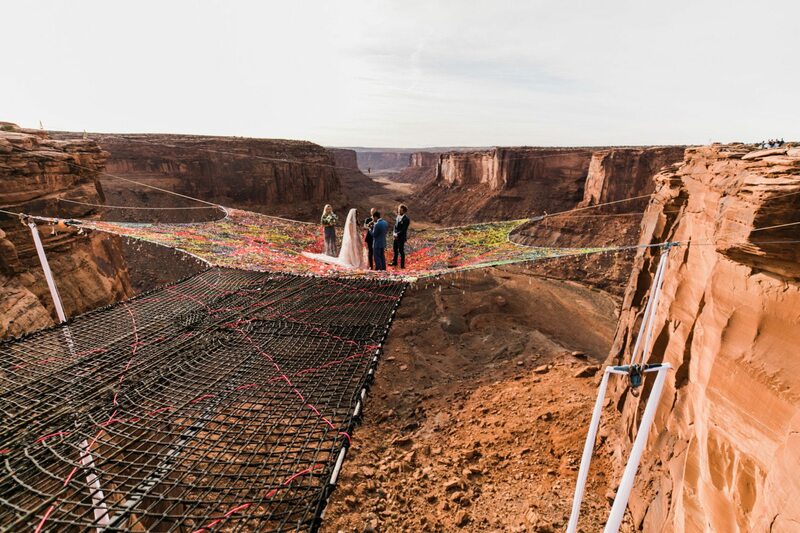 The bride and groom were perched on a net that was situated 400 feet above ground for their Nov. 20, 2017 ceremony. 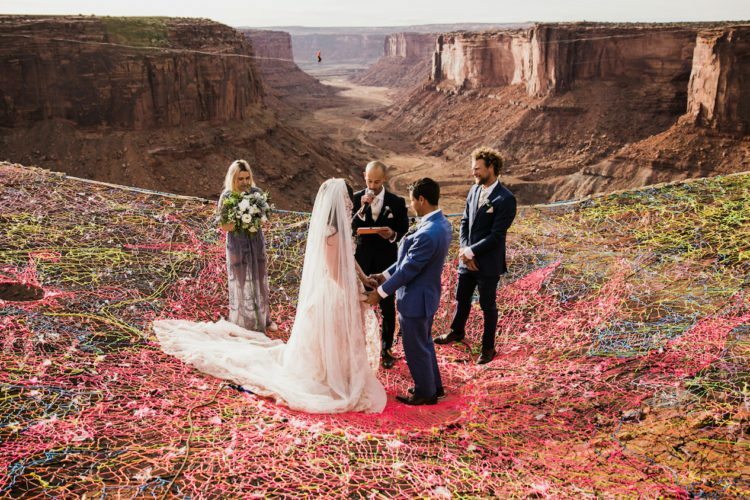 Obviously, this unique nuptials spot is not for the faint of heart! You might assume that anyone who chooses to get married in such a spot was a natural-born daredevil. 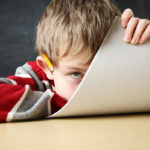 But Weglin later said she wasn’t always so comfortable being that high off the ground. I’ll just take her word for it! The incredible photos of their special day were taken by a couple of self-described adventurers named Abbi and Callen Hearne. 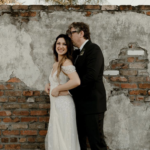 Their website says they believe “love is the greatest adventure and [we] strive to create photos that are epic, romantic, true and timeless.” I’d say their shots of Weglin and Jenks’s wedding ceremony fulfill that mission statement. 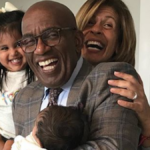 Congratulations to this happy and adventurous couple! You can see more photos of their special day at the Hearnes’ website.